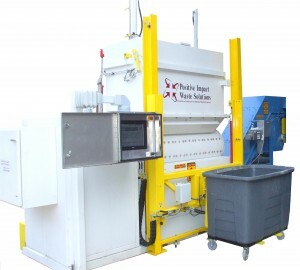 Positive Impact Waste Solutions introduces the newest addition to its medical waste processing equipment line – The PIWS-3000 On-Site. The PIWS-3000 On -Site has been developed to place at a healthcare facility or small processors and operated by the facilities existing personnel. The On-Site unit processes up to 400lbs per hour (over 1.5 million lbs per year) and, accordingly, can be placed at any size facility. The On-Site unit requires only electrical power and water and has no measurable air emissions or waste water. The PIWS-3000 On-Site unit is a batch feed system that treats potentially infectious medical waste with a proprietary EPA-approved, dry chemical, Cold-Ster®, to render it non-infectious and safe for general waste disposal. The system combines the power and reliability of heavy-duty mechanical and electrical components with state of the art electronic monitors and controls. The integrated process shreds the waste while simultaneously mixing it with the dry chemical treatment media, Cold-Ster®. All activity is performed automatically by the system. The volume of the waste is reduced up to 70% and considered general waste by landfills. 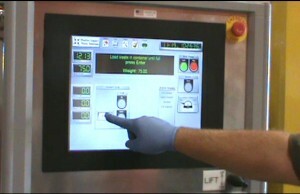 The PIWS-3000 On-Site unit has an on-board computer system which uses program logic control interface to monitor the entire process. The entire system is monitored with the on-board computer and the facility personnel are directed to each step. The only requirement to operating the system is the ability to read and follow the instruction. 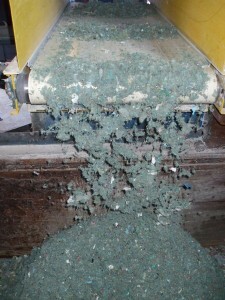 After the waste is emptied into the PIWS-3000 On-Site unit, the processing begins. The processing cycle takes approximately 30 minutes and requires no supervision. Facility personnel are able to perform other tasks and return only when ready to empty the system. After the processing cycle is complete, the system is ready to be emptied. 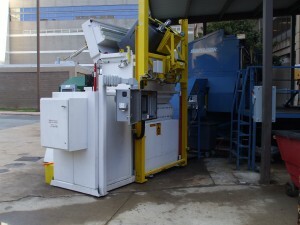 The waste is discharged from the system through a conveyor system that can be attached to the facilities general waste receptacle. 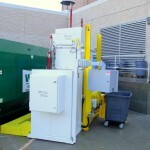 PIWS-3000 On Site at location attached to the hospital’s compactor.